Snow removal is a tedious, dull task that amazing crews take on in the winter months. 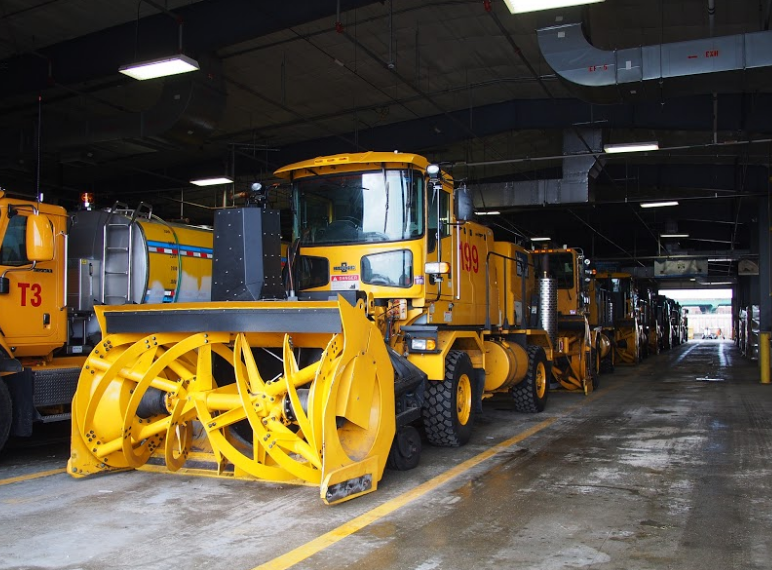 Inspired by the bad weather in 2015, my team decided to focus on automating snow removal, and to start at the airport level. We were particularly interested by Logan Airport (and implementing the system at other Class B airports) as larger airports tend to have a bigger budget. However Logan is a pretty efficient system with A/B crews on 6 hour shifts. 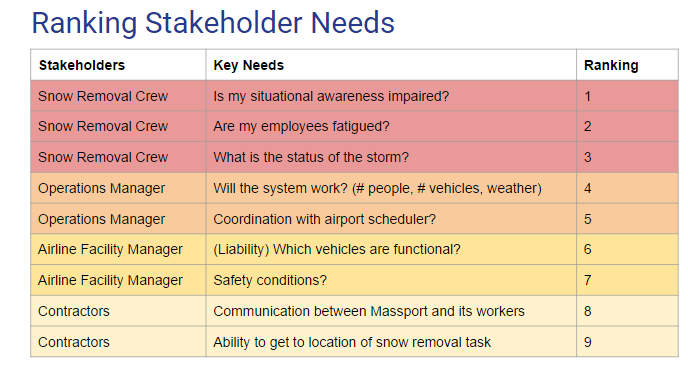 One of the interesting scenarios we looked at was how to automate snow removal at smaller airports (which had more temporary hires and usually dealt with the same crew potentially on the field for 12+ hours, depending on the length of the storm). Getting a robot to follow a path is pretty straightforwards. Doing that reliably in all weather is hard. Getting people to trust autonomous vehicles is another problem entirely. 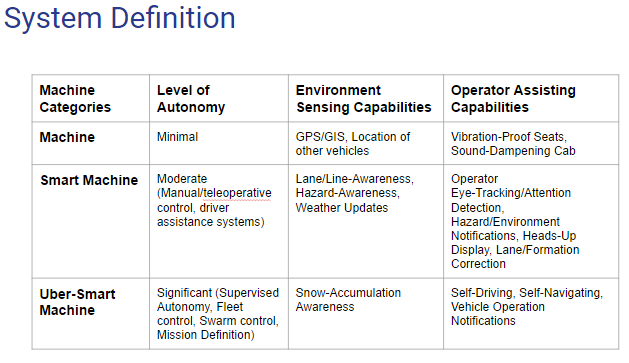 To perform a systems analysis of opportunities for integrating autonomy into existing airport snow removal systems. FAA recommends airports such as Boston Logan to remove 1 inch of snow in 30 mins. JetBlue is the largest carrier at Logan with anywhere from 30-35 planes stationed overnight. Their hangar is only big enough to fit 3 planes at any given time, therefore their mechanics are outside in all weather 365 days out of the year from midnight-4 AM. 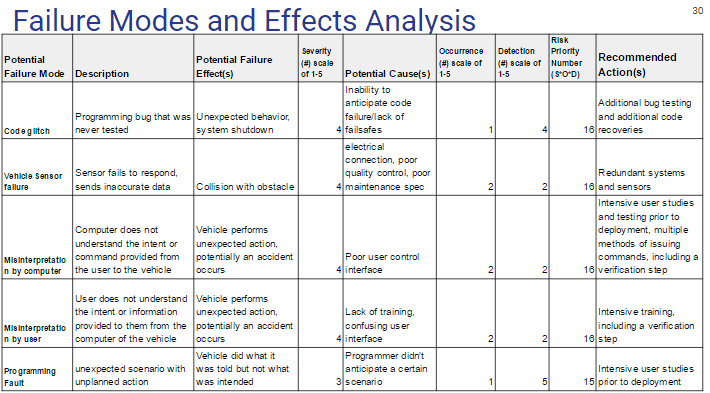 Compelling case to look into for our next systems analysis!